After 50 years at the forefront of specialist commercial refrigeration, we understand that no two cooling applications are the same. Fortunately, we’ve developed the breadth of expertise required to meet all kinds of refrigeration needs. Our expert team in Sheffield is ready to design, install and maintain your bespoke refrigeration system anywhere in the UK. 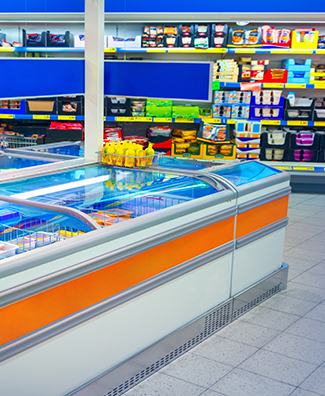 Your commercial refrigeration solution from Bradley Refrigeration can include everything you need: from design, supply and installation, to service and maintenance. We have the knowhow to design bespoke systems that fit specialised requirements, at competitive prices. If you’re looking for the best in reliability, energy efficiency, and cooling precision, we can give you more from your investment. Our refrigeration solutions are built on the latest technologies, from leading manufacturers you know and trust. Excellent service is at the heart of what we do. So we ensure every member of our engineering team is fully qualified to deliver it. We recruit the most capable refrigeration engineers and keep their skills up to date with continuous training. A longer refrigeration system lifespan can mean a bigger return on your investment. Our reliable systems are supported by cost-effective servicing plans. We also provide a 24-hour engineer call-out service, so you always benefit from maximum uptime. We’ve been at the forefront of refrigeration system design, installation and maintenance for over 50 years. See how we can provide the ideal refrigeration solution for your application or business area. Control cold room and chilled cellar climates. Find a specialised processing or manufacturing cooling solution. Chill food, liquids, ice and more. Find efficient, stylish refrigeration for your shop, café, supermarket or bar. Source specialised display cabinets for frozen and chilled food and drink. Get a bespoke solution for science applications including blood banks, experimental chambers, close-control cold rooms, growth rooms and others.